Infants born premature are at high risk for cerebral palsy, a type of brain injury that has a profound effect on movement and coordination. A new study shows that IV infusions of magnesium given to the mother in early labor have a profound affect on reducing the amount and severity of cerebral palsy. 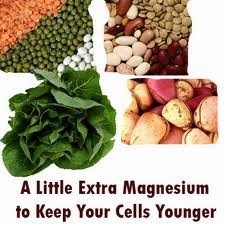 This study has far reaching implications for magnesium as a general anti-inflammatory nutrient for your brain. Magnesium is well known as an anti-stress nutrient that helps regulate blood pressure. Since brain-related inflammation due to stress or other factors is known to have a direct negative effect on the function of the heart, it is a good idea that individuals who have elevated blood pressure and are under stress seek to maximize magnesium intake to calm down and cool off nerves – a result that should be fairly obvious when enough magnesium is consumed. The fact that magnesium was able to have such a profound influence on brain swelling and inflammation in this new study places a new emphasis on optimal magnesium intake. Currently guidelines for magnesium intake are 400 mg a day, which may not be enough if a person is stressed out. Doses up to 1200 mg per day may be quite helpful. Amounts can gradually be increased until the desired result is obtained. Since magnesium has a laxative effect some individuals will not be able to use higher amounts. In rare cases higher levels of magnesium intake could induce low pulse, a problem that is readily corrected by taking calcium. 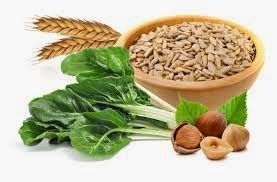 Any person who feels any type of irritation, agitation, anxiety, or hostility from stress, especially if blood pressure or irregular heart beats occur, should try to maximize their magnesium intake to promote a more relaxed nerve function. Doing so is likely to save your brain and heart from needless wear and tear.